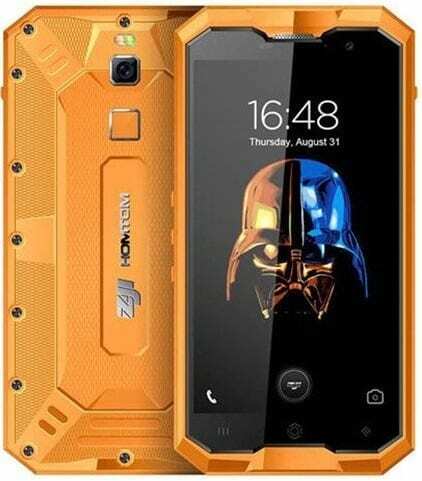 Most rugged smartphones focuses on the durability than any other thing but the new Homtom Zoji Z8 merges durability with a decent spec sheet. The smartphone does not only feature a well built long lasting body but also has a fairly hardware to go along with it. You do not only get a water and dust resistant device but one that runs smoothly with interesting feature like long lasting battery, fingerprint sensor, 4G LTE connectivity and so on. It seems things only gets thicker with Homtom’s Zoji series of smartphones, which is understandable because of the improvement included with each successive smartphone. The smartphone is design to survive extreme conditions and fall from high altitude with edges reinforced using metal coating. The Homtom Z0ji Z8 smartphone has a thickness of 12.5 mm and weighs an average of 250g. There is really no change here has the Homtom Zoji Z8 smartphone still retains the 5.0-inches 1280 x 720 pixel resolution IPS display present in the Z7 smartphone. The pixel density is pretty much the same at 294 ppi which is not that bad for a rugged device. A lot of upgrade has been made in the camera department has the new Homtom Zoji Z8 features a 16MP rear camera with dual LED flash which takes decent picture in full light. For taking selfies the front camera of the smartphone is equipped with a 13MP sensor with a wider angle for taking group selfies. Also, the Homtom Z0ji Z8 has more juice to keep your phone powered up all day and might even last till the next day has it now has a large 4250 mAh non removable Li-Ion battery with fast charge technology to ensure more power in little time. The Homtom Zoji Z8 comes with an 8 core MediaTek MT6750 SoC that clocks at a maximum of 1.5GHz which is a nice upgrade to the 4 core SoC of its predecessor. Also, there is a 2 core ARM Mali-T860 GPU for a nice gaming experience and general display rendering. Furthermore, the Homtom Zoji Z8 comes with 4GB RAM which makes sure there is no glitches when app multi tasking. Also, there is a 64GB internal storage which is more than enough for most people but in case you want more you can expand the storage to 128GB using a MicroSD card. In addition, the Homtom Zoji Z8 runs the Android 7.0 Nougat pre-installed which improves both performance and smartphone experience. The Homtom Zoji Z8 is available for sale in Nigeria and other countries around the world. In Nigeria you can get the smartphone in leading online stores from 55, 000 Naira to 65,000 Naira depending on the vendor and your location.